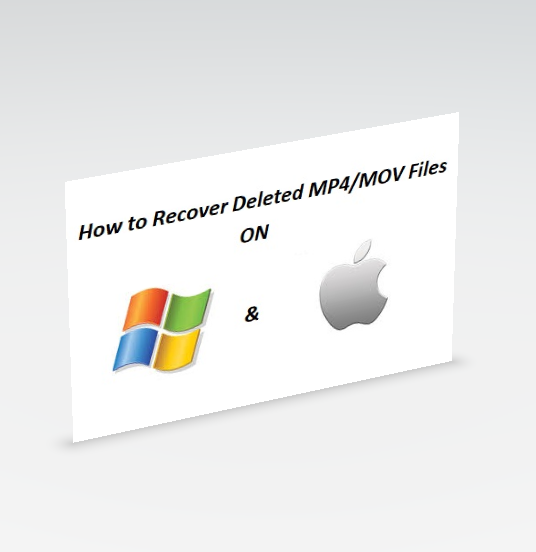 Info › Photos & Videos › How Do You Recover Deleted MP4/MOV Files on Windows and Mac? MOV and MP4 are the two well-known multimedia formats and they offer high-quality video playback to enrich your viewing experience. But, if you delete these video files unintentionally or accidentally, then it turns into a painful situation. There are several reasons that lead to deletion of MP4 and MOV files like virus intrusion, accidental formatting of drive that holds videos, transfer issues etc. Suppose, you lose or delete any of your important MP4/MOV videos out of the blue then, how do you recover those deleted MP4/MOV files? Well, here are the several ways to recover deleted MOV and MP4 videos both on Windows and Mac Systems. How to Recover Deleted MOV and MP4 Videos on Windows? Here are the steps to recover your deleted MP4/MOV files from Recycle Bin. Go back to the source location of the file and check it. Procedure to restore deleted MP4/MOV files from Windows previous version (This technique is useful if, restore point is enabled before). How to Recover Deleted MOV and MP4 Videos on Mac? Here is the procedure to restore deleted MP4/MOV video files from Trash. You can easily restore your deleted MOV/MP4 files from Time Machine backup if Time machine backup is enabled. Just follow these steps to recover deleted or lost MOV/MP4 video files from the Time Machine. Apart from above techniques, you can also recover your deleted MP4 and MOV videos from a backup stored on external storage devices (if you have a habit of copying data onto external devices). And, if none of the above methods help you in recovering deleted videos then try Remo Recover (Mac) or Remo Recover (Windows) based on your operating system. How to Recover Deleted Videos from Remo Recover? Install Remo Recover i.e. Remo Video File Recovery software on your computer and follow these steps. Finally, activate the tool and save your recovered MOV/MP4 videos.